Chopped fresh herbs- I had rosemary, thyme, and sage. Make sure you get your pan screaming hot!!! After 5 minutes of heating your pan, add your oil; 1 tablespoon or so to coat the bottom of the pan. When you see steam rising from the oil, add your chicken. Cook on each side for about 3-5 minutes until it is golden brown. Once they are brown, take them out. Turn heat down to med heat and add onion and garlic. Cook until onions are translucent and garlic is fragrant. Do not burn the garlic! 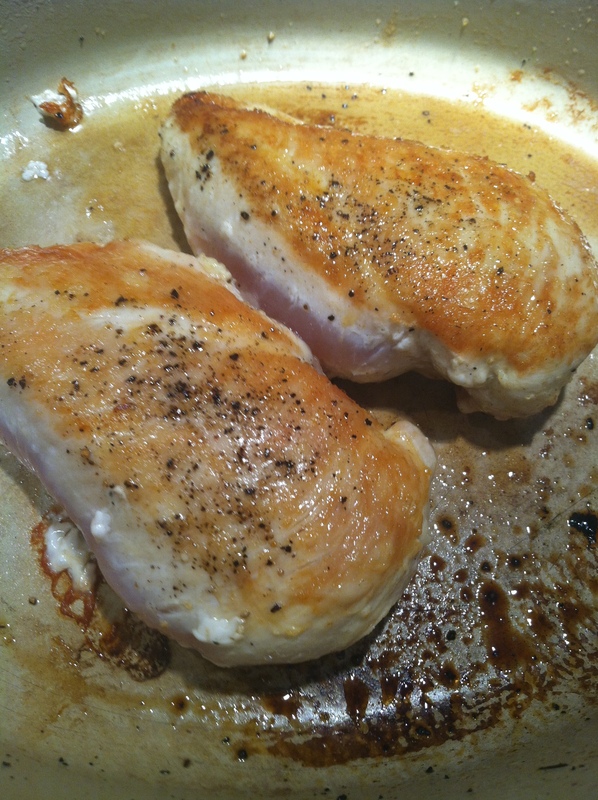 Pour in about 1/4 cup of white wine… just enough to deglaze the pan. 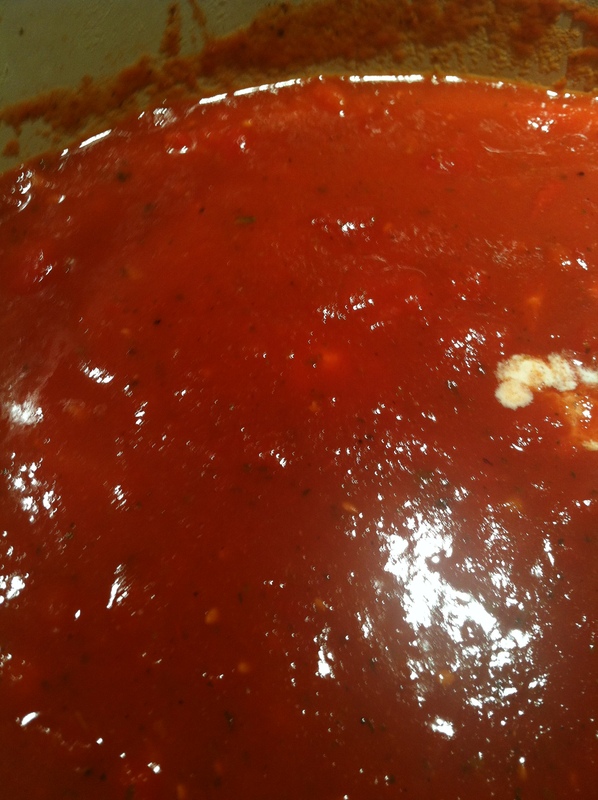 Add in 2 cans diced tomatoes and 1 can tomato sauce. 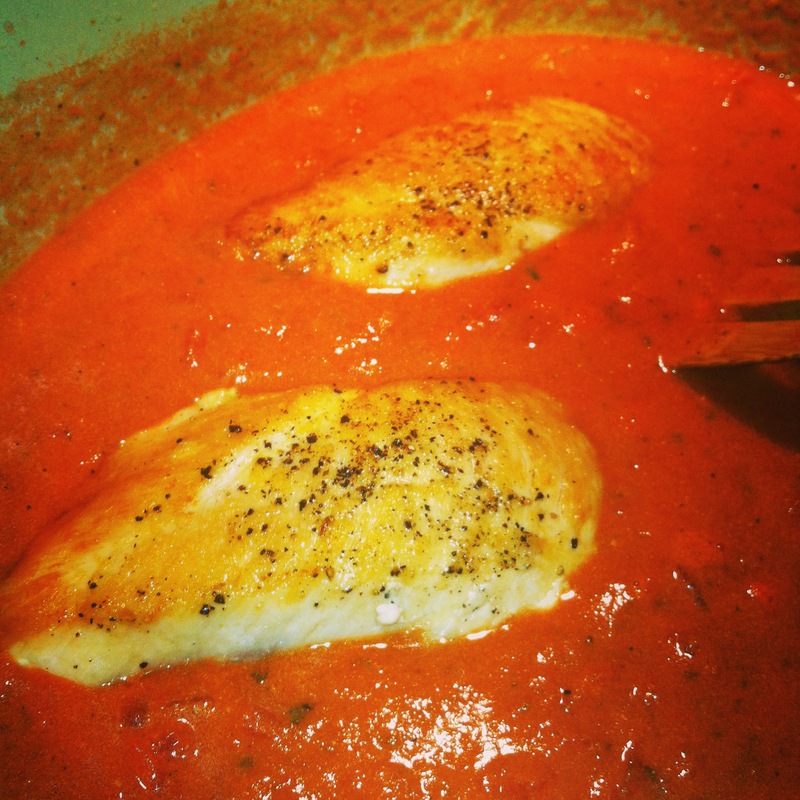 I mashed up the diced tomatoes a bit, because my girls don’t like tomato chunks. Skip this step if you wish. 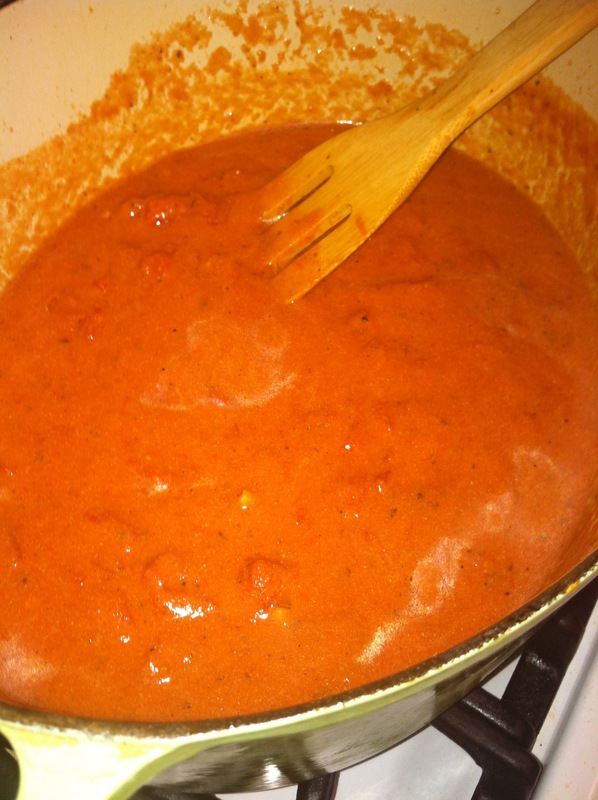 I have some of the leftover creamy tomato sauce…I am thinking some good uses for leftovers this week!!! 3 potatoes thinly sliced with a knife. You could use a mandolin, but make sure they are not too this. They need a bit of thickness to absorb all the delicious butter and cream. 1 stick of butter…yes, that is correct! Add your garlic and rosemary- cook for about 5 minutes…ummmm, rosemary garlic butter =) Sprinkle in just a bit of parmesan cheese. Mix together. 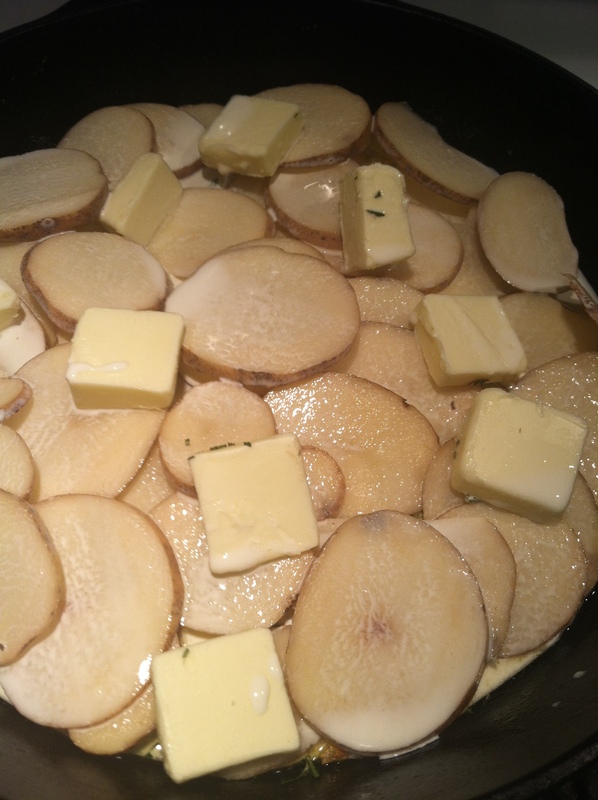 Add your sliced potatoes in a pretty circular pattern. Add the rest of the butter in chunks all over the top. Take out and sprinkle more parmesan and rosemary. Turn your oven to broil. 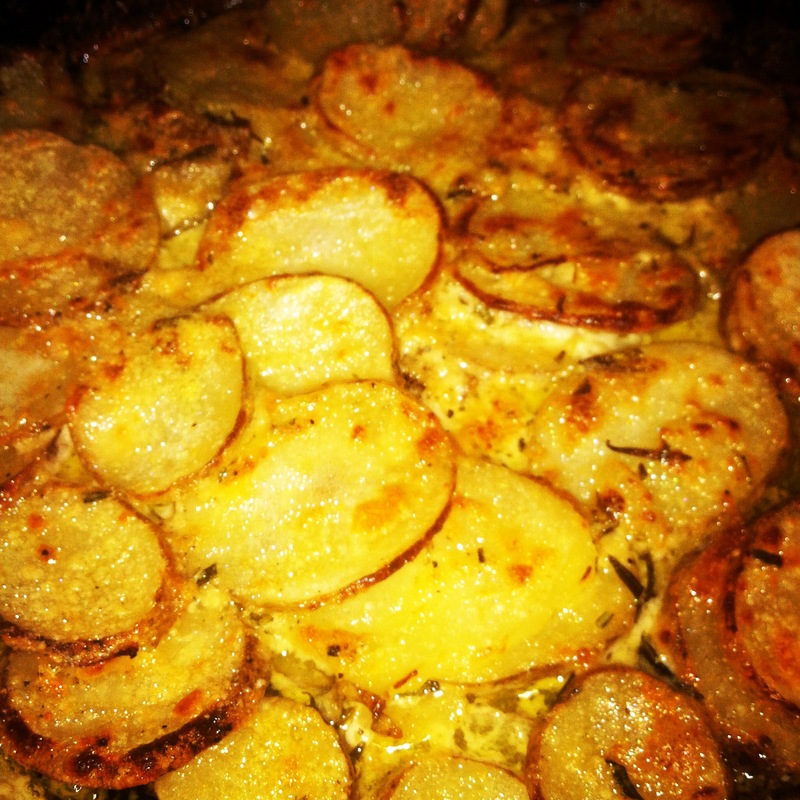 Brown the top of your potatoes and prepare to be wowed!!! I added a side of Steamed Fresh Green Beans and Garlic toast. Dinner was a BIG HIT!